Thanks to its geographic location and 3 levels of altitude up to 2,700 m, the Ramsau am Dachstein region offers snow in abundance. 3 skiing areas are right nearby: the Rittisberg, the alpine ski area Türlwand and the Dachstein Glacier. The 4-mountain ski circuit (Planai, Hochwurzen, Hauser-Kaibling, Reiteralm) is just a stone’s throw away. Ramsau am Dachstein is also a member of Austria’s largest ski area association "Ski amadé". The network of trails in Ramsau is one of the most extensive in Europe covering a total area of over 150 km leading at an altitude of 1,100 – 2,700 m. On the Dachstein Glacier you’ll find 18 km of well-groomed trails where the world elite train too. Up to 700 athletes from over 30 nations practise on the Glacier trails daily. Skate in the tracks of world champions. The mountain and ski guide Fritz Walcher offers guided snowshoe walks for hikers and non-skiers to discover unspoilt valleys and alpine pastures in winter in the Dachstein and Tauern ranges. 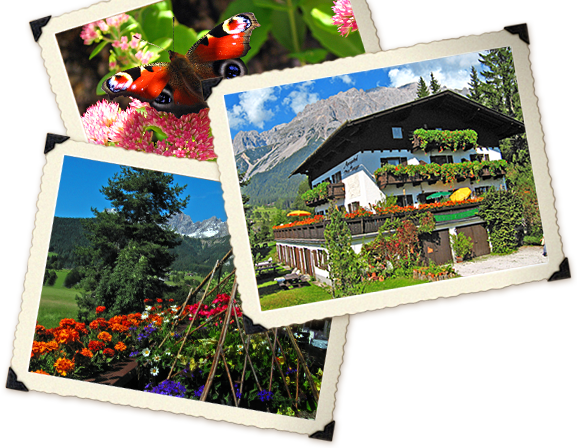 Explore and enjoy the unique countryside around Ramsau away from the hustle and bustle. The high plateau and the Dachstein Glacier are a real eldorado of tours in which numerous routes are waiting to be discovered.